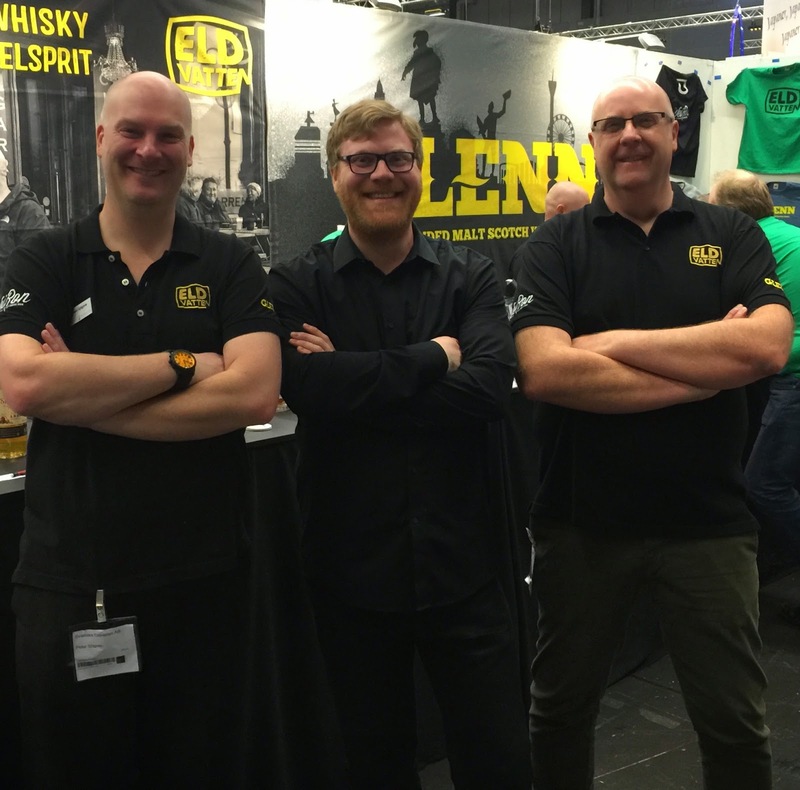 Last weekend I visited the Beer and Whiskyfestival of Gothenburg! This is the 3rd year in a row that it is arranged. It was my second time visiting and working at this particular festival, which was, as always great fun! As all friends and followers might be familiar with at this point, I work at the festivals for Edrington, mostly taking care of Laphroaig, Highland Park (whenever Martin let’s me), as well as Bowmore, since they just joined the Edrington portfolio. ”What the hell is he blathering about? !”, you might wonder, ”Isn’t this supposed to be a tasting note of something really nice and exciting?!”. Well of course it is, so to the tasting itself! During the festival I of course had the oppurtunity to visit some friends of mine in the buisness and talk about my favourite distillers/brands, I stopped by at Svenska Eldvatten (”Swedish Firewaters”) to see what’s going on and asked if there was anything in particular they wanted me to review. 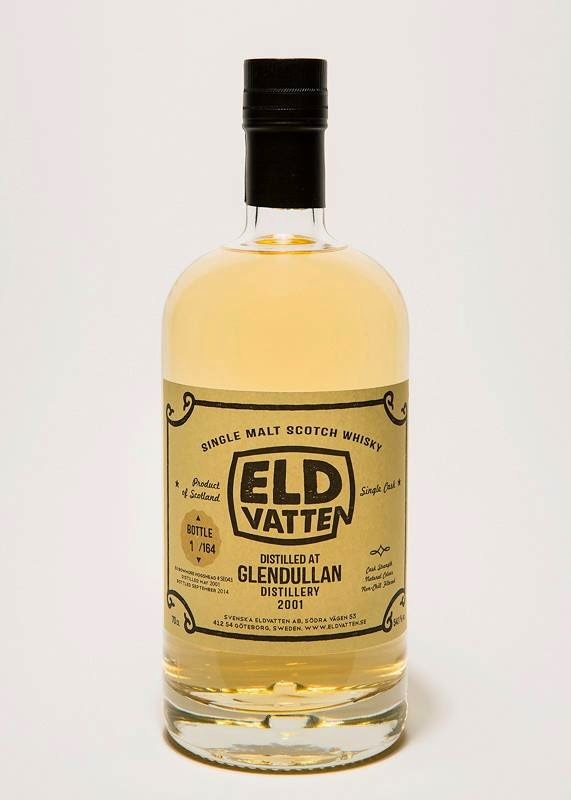 Peter and Tommy, the owners and likewise founders of Svenska Eldvatten, were both very keen on having me do a review of their next release, namely a Single Cask (SE043) Glendullan 2001 at 54,1% ABV! Now this is not any ordinary release of Glendullan, on the contrary, it has been matured for 13 years in a bourbon cask that previously held… Bowmore! The cask gave 164 bottles. 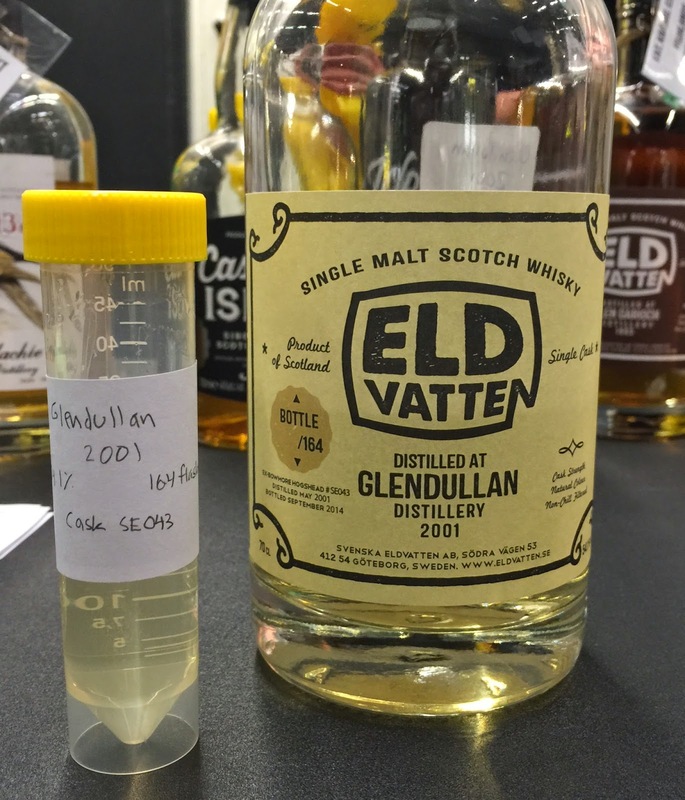 This whisky will be released here in Sweden on the 2nd of May, and for international buyers it is available here. In the highest register or in the tip of the nose, we have some really exotic stuff, the most evident is a mix of very ”thin” or pointy green and yellow kiwi fruits, almost like kiwi juice in fact. Now I’ve never tasted or nosed kiwi juice but you know how associations work, right? ☺ There is also something in the very highest register of the nose slightly reminding me of oak matured agave. Below the highest register we have red apples, vanilla infused cream, and something green. A herbal touch, not herbs of course but more like the leaves of birch-trees, and other green stuff like slightly burnt grass, or perhaps newly cut lawn… Aahh, this is a perfect nose for springtime! There’s also a wee bit of passionfruit or peach, and just a wee, wee bit of menthol in there… sounds strange but there is! Ok, let’s have a taste! Oooh, almost the opposite of the nose! Interesting! Really nothing from the highest register of the nose comes back on the palate, at least not the kiwi stuff. The only fruit that is there is apples, and peach. The oak matured agave is there with a kind of peated feeling, mixed with fudge, cream, and something really going towards marzipan. Quite dry and herby, a bit of a fist or punsch in my face from the alcohol, it warms my whole body. In total a very ”green” taste-profile, as I said a bit herby and in some way a bit salty, also almost drawing towards smoked branches of birch-tree, if there ever was such a thing. To sum up, for me this is a really exciting and also a bit surprising dram. It’s always fun when a dram is almost nothing on the palate as it is on the nose. Very intriguing, I think I just have to try some more Glendullan in the future, so let’s start with another dram of this one! 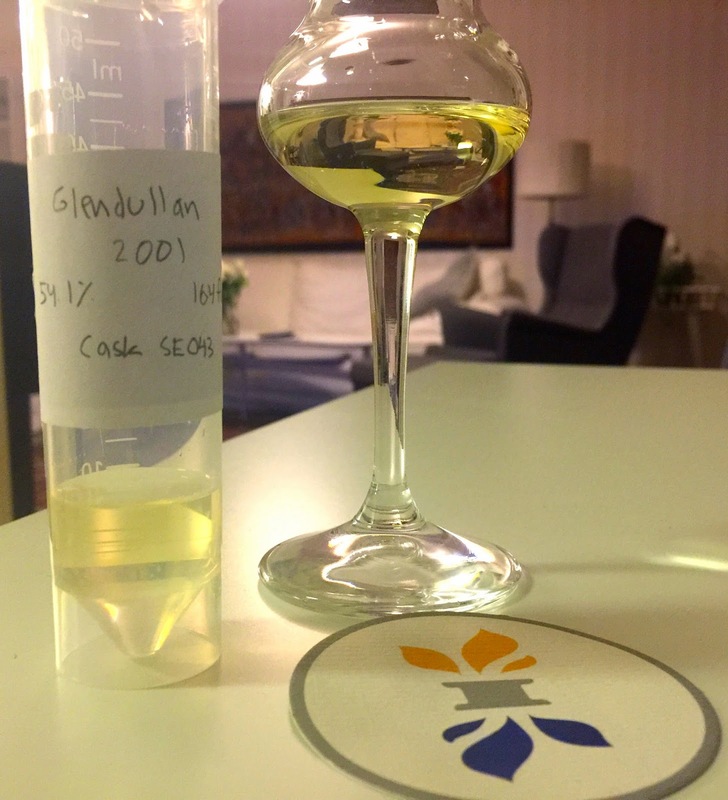 Finally, big thanks to the guys at Svenska Eldvatten for letting me taste and review this next release! Sláinte and please follow SamueWhisky on my Zuckerberg-page by going here, and on my birdy-page by going here!